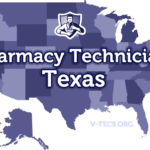 While the Texas Board of Pharmacy does not mandate formal education for pharmacy technicians, it is highly recommended. All pharmacy techs and trainees within Texas must register with the board before assuming employment within the state. An individual who goes beyond the state’s minimum requirements and pursue higher education get better opportunities and earn higher incomes. Furthermore, pharmacy technicians with certifications and degrees find it easier to make the step towards becoming licensed pharmacists. Pharmacy technician classes in Houston Texas cover vital areas such as record keeping, dispensing medication, packaging and labelling, law and ethics, medical terminology and pharmaceutical calculations. The programs at community colleges, vocational schools and universities prepare graduates to assume their responsibilities without extensive in-house training at their new place of employment. Houston Community College aims to provide workforce training through its pharmacy technician certificate program. Students can complete the course in two semesters and earn 27 college credits at the end of the training. Course content includes introduction to health professions, drug classification, pharmacy law, pharmaceutical math, community pharmacy practice, compounding sterile preparations, pharmacotherapy and clinical experience. Tuition is $1830 plus costs for textbooks, registration, supplies and the PTCB exam fee for graduates who plan to obtain national certification. The pharmacy technology certificate program at Lone Star College is a two-semester program that prepares students to enter the pharmacy profession. Students enter the program in the fall and complete the training in the spring. The huge demand for training at the North Harris campus may extend the course duration to one year for evening students. The American Society of Health-System Pharmacists accredited program helps students succeed at the Pharmacy Technician Certification Examination to obtain national certification. 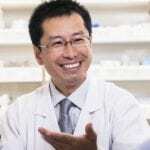 Course content includes pharmacy law, drug classification, community pharmacy practice, pharmacy math, drug compounding, aseptic techniques and a clinical at both community and institutional pharmacies. Tuition for the 31-credit hour program is $1956 plus the cost of textbooks, supplies and college fees. 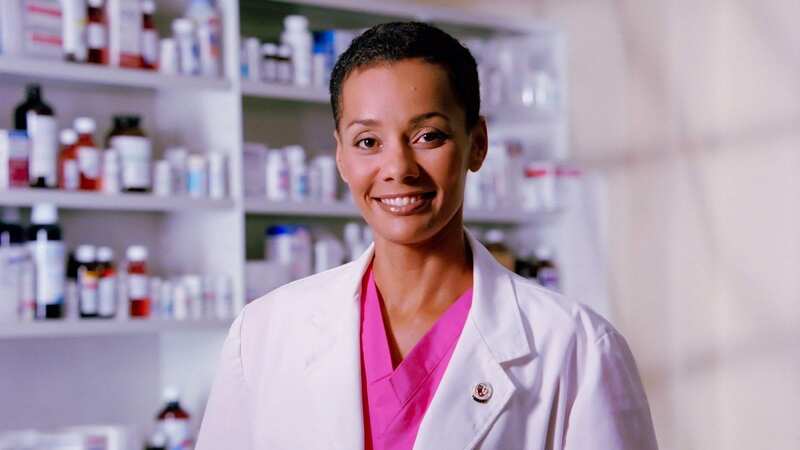 University of Houston Downtown campus facilitates a certificate pharmacy technician program that provides 77 hours of classroom instruction and skills practice. Students meet from 6:00 pm to 9:30 pm two days a week. At the end of the program, graduates will know how to dispense medication, compound a prescription order, receive and screen prescriptions, manage billing, maintain pharmacy equipment, purchase pharmaceuticals, control inventory and assist pharmacist in serving customers. Applicants must have a high school diploma and may have to take an evaluation before acceptance into the program. Tuition is $1199 inclusive of course materials. PIMA Medical Institute’s pharmacy technician certificate program is a 34.5-credit program that day students complete in 33 weeks. Evening students complete the training in 38 weeks. The objective of the educational program is to equip students with the knowledge and practical skills to succeed as entry-level pharmacy technicians. The comprehensive syllabus covers topics such as computer basics, math fundamentals, CPR and First Aid, anatomy and physiology, pharmacy math, principles of customer service, pharmacology, pharmacy lab, chemistry and advanced pharmacy math. At the end of the class, graduates can challenge the PTCB national exam to obtain certification. Tuition is $ $12,671plus $768 for books and supplies. Financial aid is available in the form of Federal Loans for qualifying students. At the end of the rigorous pharmacy technician program at SBC, graduates will be prepared to prepare medications, ensure prescription accuracy and assume other roles under the direction of a licensed pharmacist. Qualified instructors use lectures, live demonstrations, labs and hands-on training to teach students how to maintain patient records, package and label medications, dispense medications, interpret prescriptions, manage inventory and mix drugs with parenteral fluids. The core curriculum comprises of lecture and laboratory followed by a clinical externship where students work in a community or institutional pharmacy under the direction of a pharmacist. The duration of the program is 12.5 months with continuous enrollment. Tuition is $14,955 plus expenses for textbooks and supplies. Financial aid is available through Federal Loans for qualifying students. The Pharmacy Technician Program at San Jacinto College is a certificate program that students complete in 3 months. The 32-credit program equips students with skills and knowledge to qualify for a job as an entry-level pharmacy technician. The course structure is also designed to prepare students for national certification. Course modules include essentials of medical terminology, drug classifications, pharmacy math, introduction to pharmacy, community pharmacy practice, pharmacy drug therapy, compounding medications, institutional pharmacy practice. In the final semester, students must complete clinical externships at institutional and community pharmacies. Applicants must undergo a background check and drug screen as a requirement for admission. Tuition is $2,800 inclusive of textbooks, lab fee, insurance, immunizations, uniform, college fees and Texas State Board Registration. Remington College’s pharmacy technician diploma program provides 1350 hours of pharmacy technician training. Students learn via classroom lectures, hands-on training and clinical experience. Topics covered include written communication, social psychology, pharmacy practice, dosage calculation, pharmacy law and ethics, algebra, general psychology, speech communication, therapeutics, health science essentials, therapeutics and pharmacy law, medical safety, compounding and preparation for the PTCE. Students complete their education with 200 hours of clinical at a community pharmacy. Tuition is $19,990 inclusive of books and supplies.